How many times have you made an impulse decision while at the grocery store? Or how about when you are on Zalora? It is common for most of people to make a few impulsive decisions when making purchases. Millionaires, however, have the ability to delay gratification and hold back on making impulsive decisions. 2. Know the difference between wants and needs. Millionaires also know the difference between wants and needs. We all have moments when we would like a new house, pair of shoes, car, or office. But, are they necessary? Or, do you just want that new luxury car? Sure that car is powerful and would be great in your driveway. But, it is not a necessity. Instead of spending money on things that are not practical, millionaires put that money toward essential items that will continue to increase their wealth. 3. Focus on the long-term. Your daily tasks should connect to your long-term goals, and if they do not, your goals need to be adjusted in some way. The adjustment may be altering your tasks in some way, or possibly cutting out or reducing non-essential tasks and adding some task that will benefit you in the future. 4. Have multiple sources of income. After establishing some financial security, millionaires begin to look for other ways to bring in money. Why? Because they realize that their main source of income could suddenly dry up. To avoid a possible loss of revenue, a millionaire will establish multiple sources of income that generate cash flow as a backup plan. There are robo advisors and other ways to automate investments, such as deducting percentage of your paycheck and placing it into an e-cash retirement account, but millionaires also invest so frequently that it has becomes a habit. They know how and when to take advantage of an opportunity, as well as how much to invest, seemingly without blinking an eye. But they have practiced this investment strategy often enough that they gain a definite knowledge about investment workings. By following a budget, millionaires can see how much money is coming in and how much is going out. This allows them to create a spending plan so that they can afford the necessities and remove wasteful expenses. There has been at least one study that says many wealthy people do not have a budget, per se, but the very wealthy know, and keep track of where their money is being spent. 7. Are prepared for emergencies. Millionaires have a rainy-day fund set aside. They realize that there may be time when they will have a crisis, like losing their job or an unexpected family death. Instead of borrowing money, they have the money saved up to support themselves until the crisis is over. 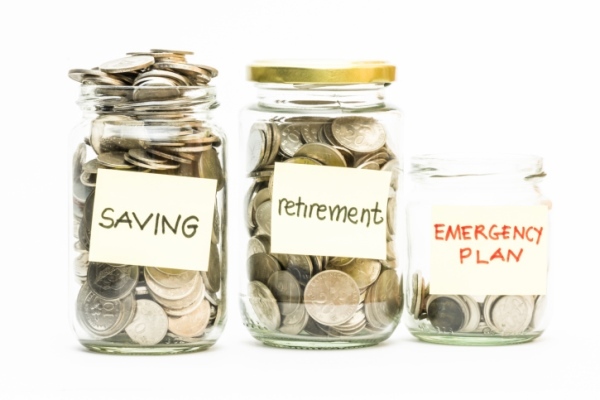 Many disasters can be averted by being prepared with an emergency fund. I personally recommend that you have 12 months cash sitting in the bank so that if all shiz hit the fan, you are good. 8. Only invest what in what they understand. Warren Buffett and the legendary stock investor Peter Lynch have offered the advice that you should “invest in what you know.” It is a trick that millionaires have embraced because when they understand how a company generates income and profitability, they have a competitive edge. They are aware of the risks and opportunities. 9. Keep track of expenses. Do you know how much money you are spending on your expenses? If you do not, start tracking your daily, monthly, and yearly expenses—just like millionaires do. You will quickly realize that you are wasting money on items that are not needed or can be purchased at a better rate. 10. Live below their means. It is no secret that wealthy individuals live either below or within their means. For example, Buffett still lives in his Omaha, Nebraska home that he purchased in 1958 for then $31,500 (P1.45 million). Former Microsoft CEO Steve Ballmer was known to fly commercial. Even though they could have owned a mansion or private jet, they opted to save their money for necessities and not luxury items. 11. Willing to make sacrifices. So what if you are driving around in a 2000 Toyota Camry. You realize that eventually, like within the next two years, you will be able to purchase a new vehicle because you will have the means to do so. That is how millionaires think when it comes to managing their money. They will make temporary sacrifices when it benefits the bigger goal. I personally was worth millions and driving around a 2006 salvage title Hyundai Sonata until a year ago. Make sacrifices today to live better tomorrow. 12. They don’t get into debt. Millionaires do not allow themselves to get in debt. They do not borrow any money and avoid using credit cards if they do not have the money to pay the card off—unless it is an investment to improve their business or start a new company. In other words, if they do not have it, they are not going to spend it. They do without—rather than spend what they do not have. 13. They get financial advice. Millionaires know their strengths and weaknesses. Instead of spending the time and money to fix their weaknesses—they ask for help—especially when it comes to money management. Just because they built a social network or gadget, does not mean that they know how to invest or save their money. They ask a financial adviser or accountant for help. Formal education is not a prerequisite for millionaires. Bill Gates, Mark Zuckerberg, and Amancio Ortega all earned their fortunes without obtaining a college degree. Tai Lopez is well known for bragging about not having a formal education, yet he will be the first to tell you about self-education—Lopez reads approximately a book a day. Like most wealthy individuals, each of these has used their specialized knowledge and continue to learn how to become more successful through self-education. 15. Run the numbers before making a decision. I am not talking about doing mathematical equations that you did back in your trigonometry class. Just basic addition, subtraction, multiplication, and division before making any financial decisions. For example, if you have an older vehicle that needs some repairs, a millionaire would compare the costs of repairing the car to purchasing a new vehicle. Then, the decision will be based on whatever’s more cost-effective.